On Oct. 20, 2011, unconfirmed claims that fugitive Libyan ruler colonel Muammar Gaddafi had been captured, and by some accounts killed, after two months at large launched a frenzy of media coverage worldwide. TIME looks at some more of history's most notorious manhunts. The British former nightclub bouncer had been on the run in the north of England, having allegedly shot three people, killing one, just two days after his release from prison. Two accomplices who had allegedly helped Moat target police were arrested, but Moat himself remained at large in the countryside, where the difficult terrain hampered the search. But a significant update took place toward the end of the day Friday, when police confirmed that a man fitting Moat's description was negotiating with authorities. And after a tense six-hour stand-off, where it was reported Moat had been holding a shotgun, a police spokesman confirmed that the 37-year-old Moat took his own life in a field at Rothbury in Northumberland. 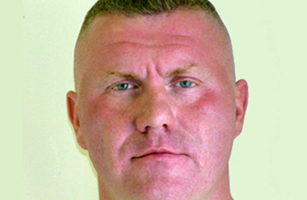 See more on Raoul Moat.